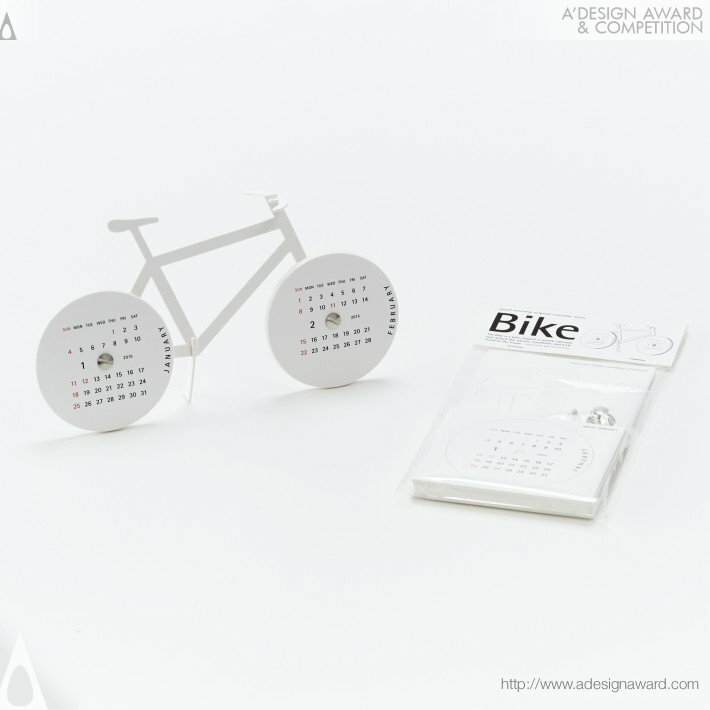 The Bike is a bicycle-shaped paper craft calendar. 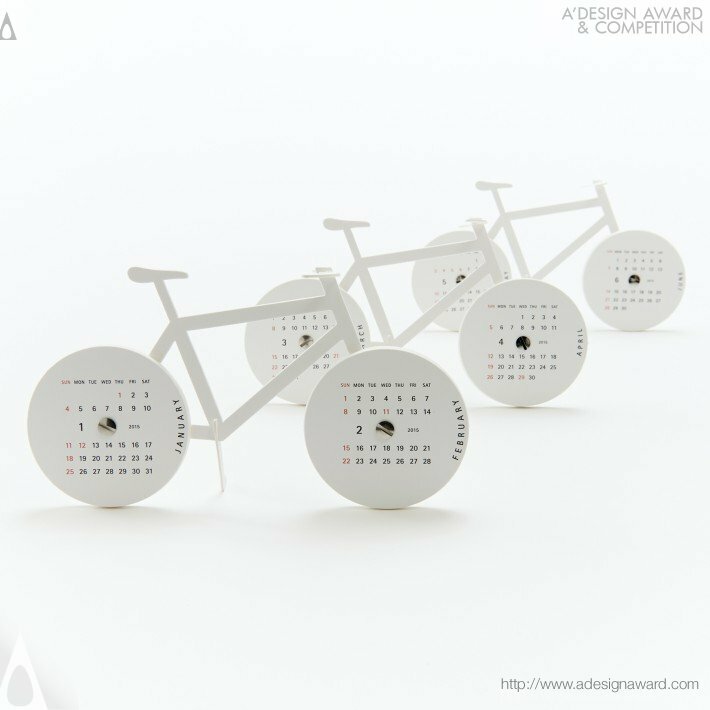 The set includes paper parts that forms bike and brass screws. 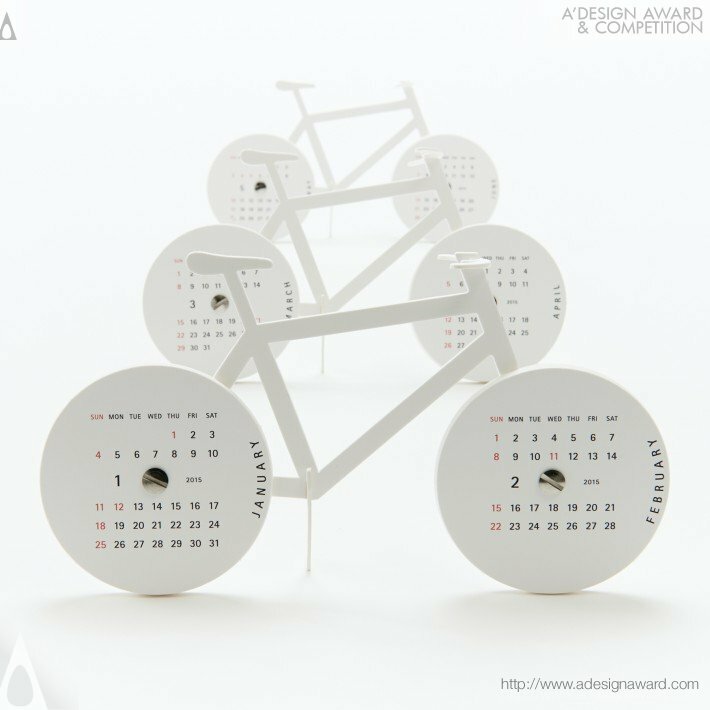 Two months are shown at once, on the front and rear wheels. 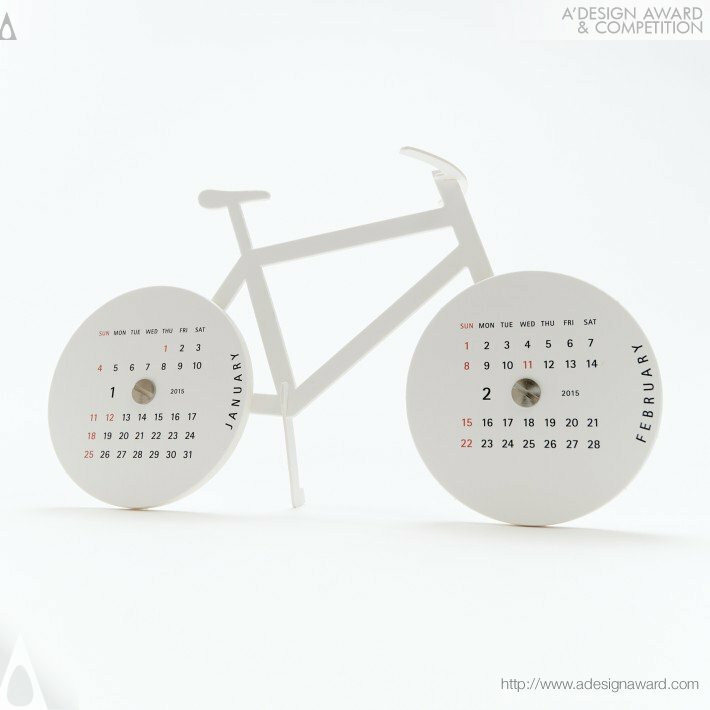 At the end of a month, that month is flipped over and placed behind the others on the wheel. The wheels are secured by screws and can turn. Quality designs have the power to modify space and transform the minds of its users. They offer comfort of seeing, holding and using. They are imbued with lightness and an element of surprise, enriching space. 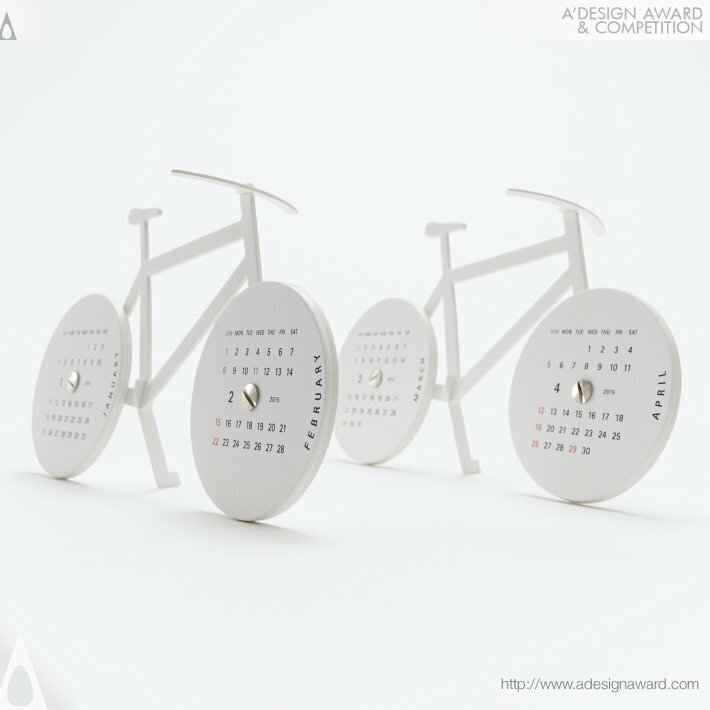 Our original products are designed using the concept of Life with Design.